Join us on Saturday, April 20 at 8:30 AM for THE HUNT! 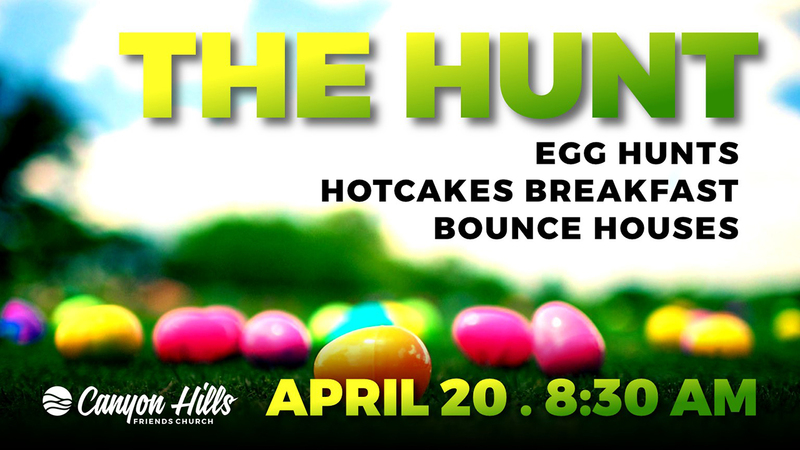 Search for Easter eggs, enjoy a hotcakes breakfast, and play in our bounce houses. This annual event is a Canyon Hills MUST!